Companies like yours are beginning to shift to mobile, social, and the cloud, and need ways to handle big data as well. PaaS technologies have been a useful tool in this way, allowing legacy apps to be easily and efficiently moved, updated, developed, and tested without the loss of vital functions of data. 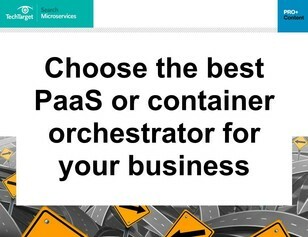 In this guide, compare PaaS products from top providers such as Google, Mesosphere, Azure, and more, to find the best PaaS tool for your unique use cases.